Procter & Gamble and Wieden + Kennedy already crafted the most successfully emotional commercial of this summer's Olympic Games. Now, it's time to bring the funny. For that, the packaged-goods marketer turns to Old Spice, the most reliably comic brand in its stable. 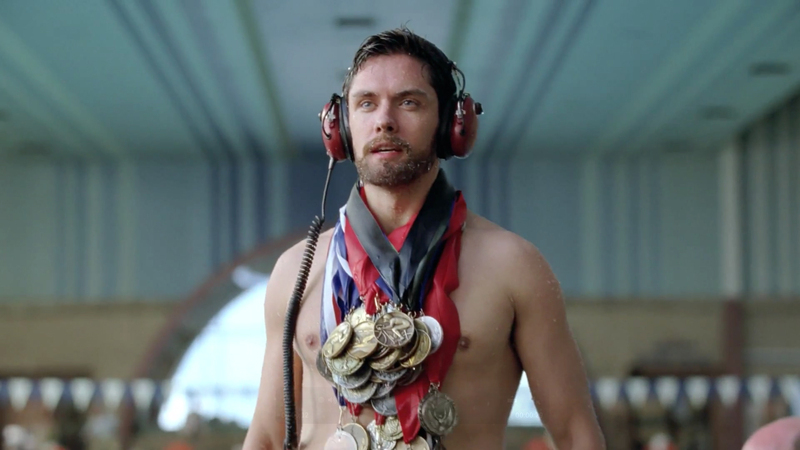 The new spot, not surprisingly, takes an absurd view of sport—with a skinny hero, urged on by an inspirational self-help cassette tape, who comes up with an impressive new swimming style, wins every medal in the world, solves the planet's problems, and dies a hero, his legacy ensured by a line of beard-growing table crackers. The ad, which pushes the Champion line of Old Spice personal-care products, continues the "Believe in Your Smellf" positioning, introduced in April. And it's a nice, goofy departure from most Olympics ads, which tend to be exceedingly serious, tear-jerking and sometimes painfully meaningful. P&G and W+K are having quite the Olympic season. Their "Best Job" spot—a corporate image commercial for P&G itself, part of the "Thank you, Mom" campaign—is, by several measures, the most successful Olympic spot of the year. It leads Unruly Media's list of most-shared Olympic spots, and also topped Ace Metrix's list of the most effective Olympic spots. This Old Spice spot will soon join the most-shared list, likely not far from the top.